The EI has published Guidance on human factors safety critical task analysis, produced under the guardianship of the Human and Organisational Factors Committee (HOFCOM). It was officially launched with a paper at IChemE Hazards XXII conference in Liverpool (April 11-14 2011), presented by author Dr. Ed Smith, DNV. Historically, analysis of technical failures in major accident hazard (MAH) safety reports/cases has dominated over human failures. There are some signs that this is beginning to change with a higher volume of human factors (HF) analyses being conducted. Regulators are also responding to public expectations concerning proactive risk management, with requirements that safety critical human tasks are comprehensively analysed and their risk appropriately assessed. Although there are benefits in encouraging deeper analysis of safety critical tasks (SCTs), there has been a lack of available information to help those without a HF background. Non-HF specialist staff should be knowledgeable enough in safety critical task analysis (SCTA) to participate in projects, commission work and to use the results from these analyses. Guidance on human factors safety critical task analysis aims to help fill this gap. 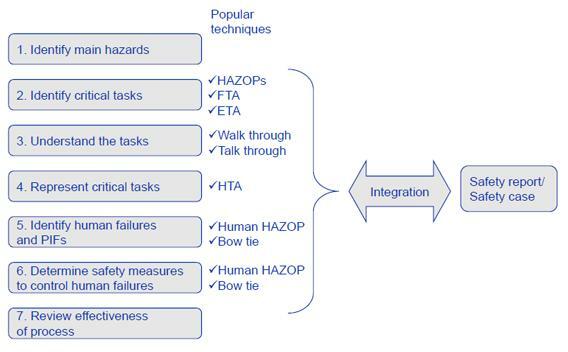 The intention is that HF SCTA will become part of the wider safety assessment toolbox, leading to better integration of human failure assessment into safety studies. Guidance on human factors safety critical task analysis is aimed primarily at those without an HF background but who have some knowledge of safety risk assessment, and is available to download or purchase from www.energyinst.org/scta. This entry was posted on Thursday, June 16th, 2011 at 10:00 am and is filed under EI technical work programme, Human factors. You can follow any responses to this entry through the RSS 2.0 feed. Both comments and pings are currently closed.